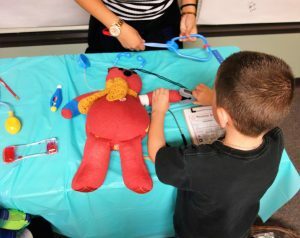 Our annual ‘Teddy Bear Clinic’ helps children learn about the hospital setting. 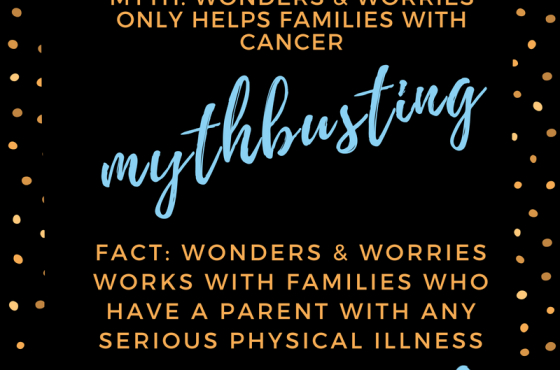 This activity reduces their anxiety by exposing them to words, machines and materials they might see when visiting an ill parent at the hospital. 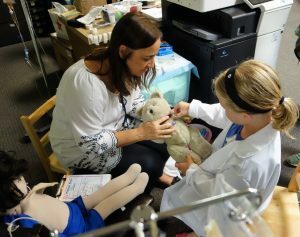 Each child is in charge of care as a ‘doctor,’ choosing a treatment plan and the outcome for their stuffed animal. 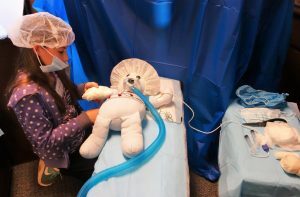 They choose their medical gear and visit different stations based on their animal’s illness. 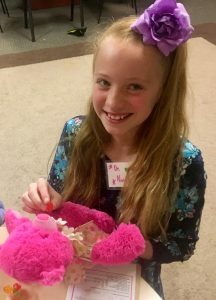 At the end, the group participates in “Grand Rounds,” sharing an update on the prognosis for their stuffed animal. The doctor makes sure bear takes all its medicine. 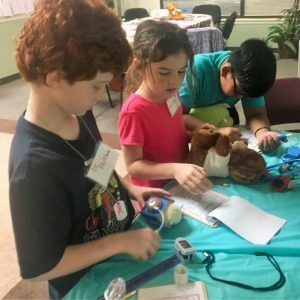 Three doctors check the vitals of their furry friends. 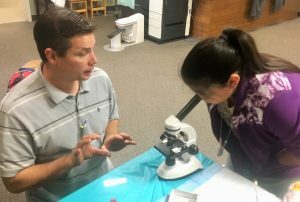 The white coat clad ‘doctor’ gives a check-up with CCLS Lara Strickland. 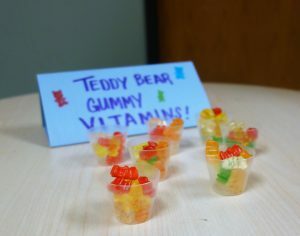 Everybody – and every bear – needs their vitamins! Bear has its IV, hair net, and oxygen and is ready for a successful surgery.